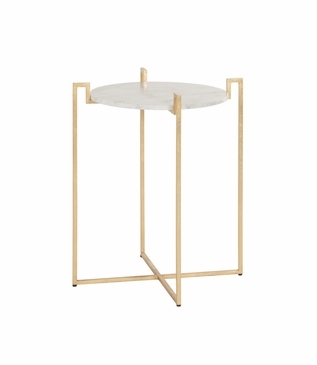 This beautiful side table is poised and playful. The legs, constructed of gold-leafed iron, are accented with Greek-inspired angles to create a feeling of movement and grace. 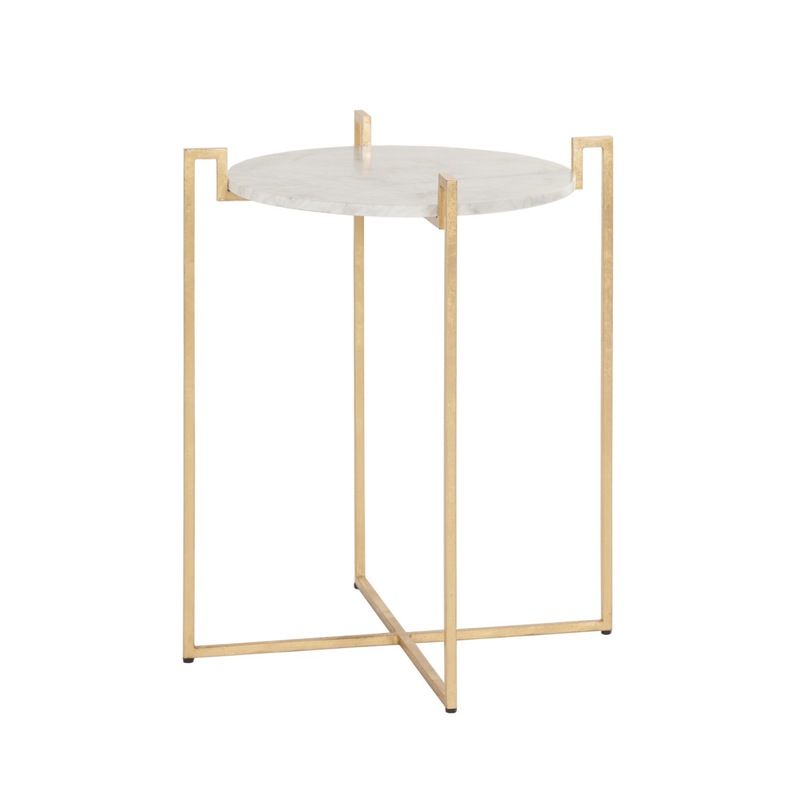 A white marble top keeps the look classic. Due to the handcrafted nature of the iron frame, slight finish imperfections should be considered part of the piece's inherent character. Size: H: 24" • Dia: 20"